Memories by the Dozen-12 Mini Frames/Placeholders - EconoBride - Budget friendly wedding favors. 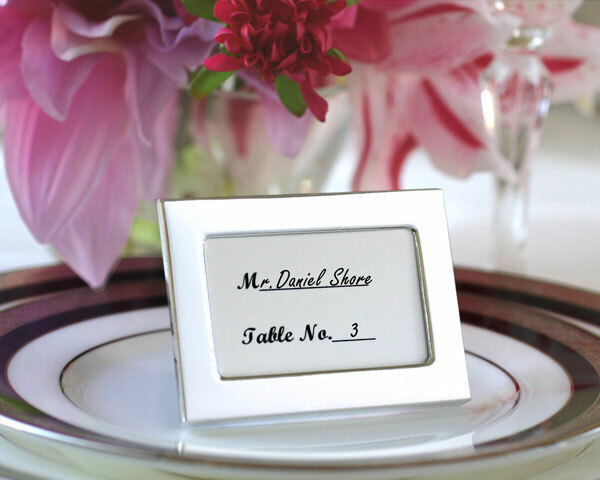 These sweet miniature photo frames add silver shine and clean lines to your reception tables. Sold in sets of twelve, these mini-frames elegantly direct all of your guests to their reception tables, and later can be used to frame their own wallet-sized photos. Function meets finesse! Frame measures 2" x 2.5". Photo opening measures 1.25" x 1.75".